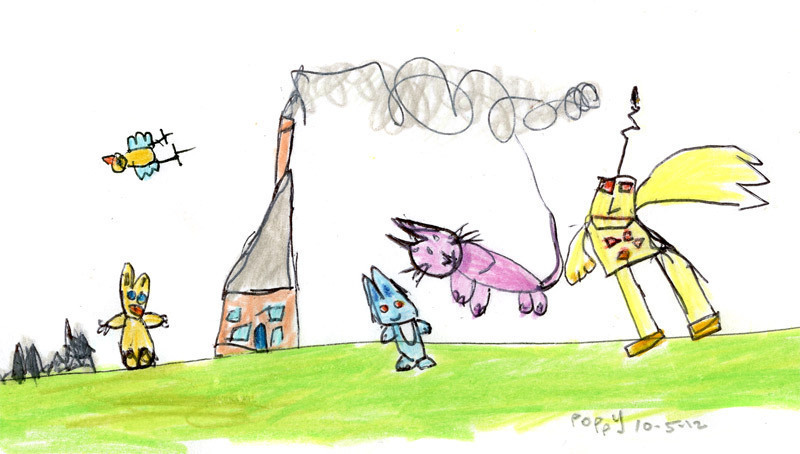 #37 Mr Robot, cat and rabbit go out to play!! This is Mr Robot and he's having fun playing outside with his best friends. I've done a really fantasticly cool print of Mr Robot that you can buy...... take a look at it here!! !